Vetreria Bazzanese is technical partner of ThE BaR, an ethical and intelligent project, imagined by Simone Micheli, to create an extensive communicative body and with the intention to turn the Caffè del Borgo at the important center of the network of relationships that underlies the district Ventura-Lambrate. 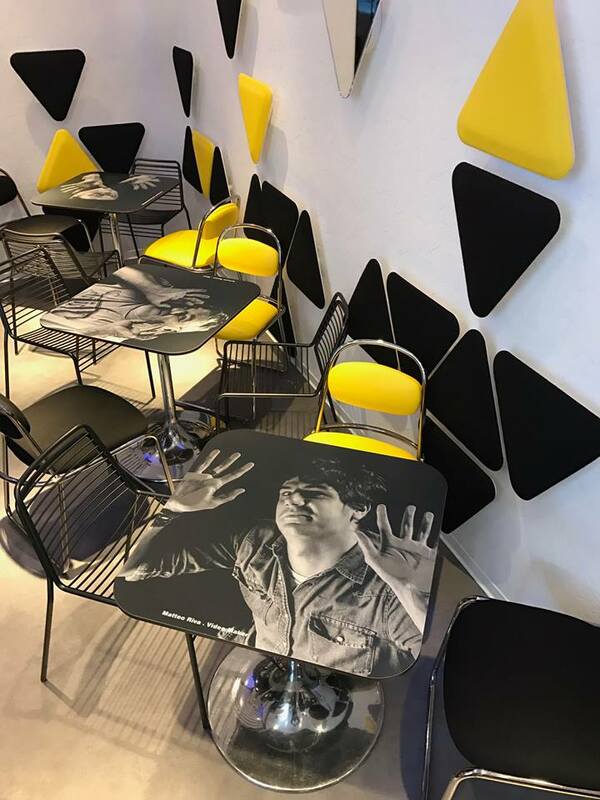 Shaped as the main point of the meeting area, ThE BaR becomes the soul of a neighborhood that is in continuous growth and development, especially, but not only, during the week of the Salone del Mobile. Every year it is the fascinating theater and favorite destination of businessmen and professionals from all over the world. The intervention, was made possible thanks to the contribution and collaboration of excellent and prestigious partner, included Vetreria Bazzanese, thet giving life to a permanent work to realize that looks like a cornerstone of a virtuous business network and as a real place to spend relaxed and pleasant moments which is a mix of well being, beauty and functionality. The fluid and engaging forms of the furnishings giving origin to highly distinctive atmospheres to explore which welcome visitors rewarding them with moments of intense well being and surprising moments of reality. Faces of men, blocked the instant of capturing, make tables animated and becoming the icon which tells about the customization of the passage of time and the possibility to extend the essence and intensity of feeling good. Mirrors and screens multiply images, refract them and invite to reflection regarding one’s physical, mental and cultural being, intensifying and pushing it to openness, sociability, to the contact. Brightly colored strokes interrupt the flow of images, thoughts and uniform proceeding; dynamize the path, combine the intentions, lead to the alteration and interaction of the looks, characters, voices, conducing to dialogue. The man who enters ThE BaR, will be part of an other atmosphere: suspended, changing, determined by the unstoppable desire to be a place and attractive, charming, exciting moment. The center not only for the entire Lambrate district, now in declared exponential growth but also artistic and cultural midpoint of the city and even for all the Lombard capital.